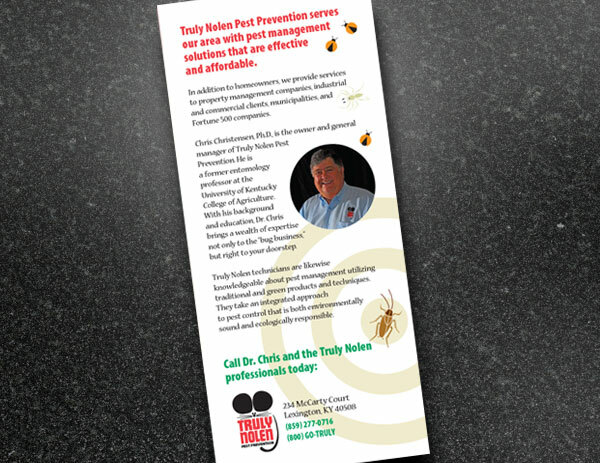 Dr. Chris Christensen with Truly Nolen Pest Control in Lexington, Kentucky, contacted the Arion Group for help with his brochure design. He had received some suggested artwork from the Truly Nolen national office but wanted the piece to be targeted to his customers in Kentucky and Ohio. 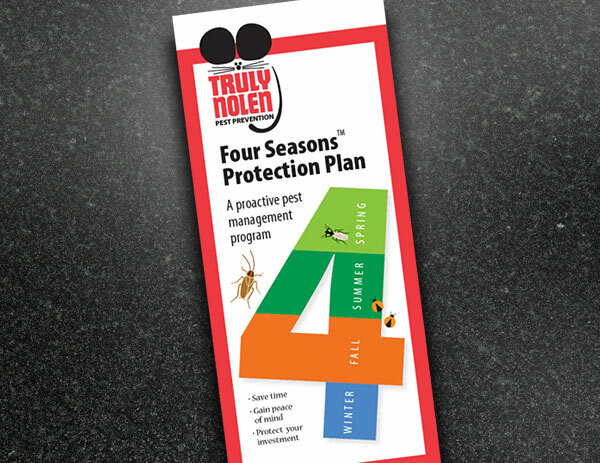 To quickly communicate the year-round nature of the Four Seasons Protective Plan, we created an eye-catching graphic for the cover using the number 4. We divided the number using four colors to represent the seasons, and carried this theme throughout the piece. 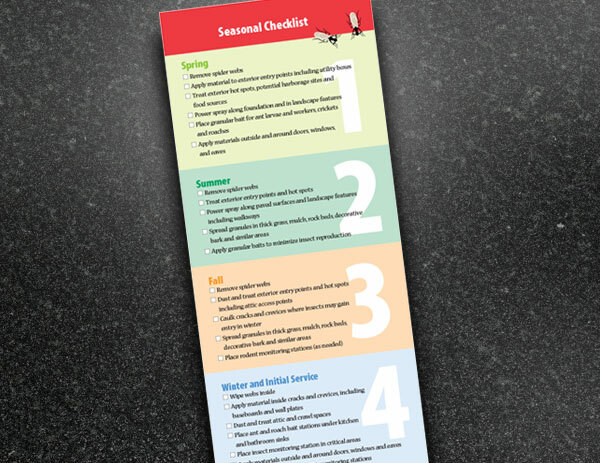 To provide added value we added a seasonal checklist to the overlap for customers to compare with their current pest control efforts. Snapshots of Truly Nolen employees performing inspections and treatments were used to visually communicate the comprehensive nature of their service. Dr. Christensen’s experience as an entomology professor at the University of Kentucky College of Agriculture is a unique asset to the Lexington franchise. We made sure his credentials were highlighted on the back cover where they are easily visible. For help creating your next brochure, contact the Arion Group today. 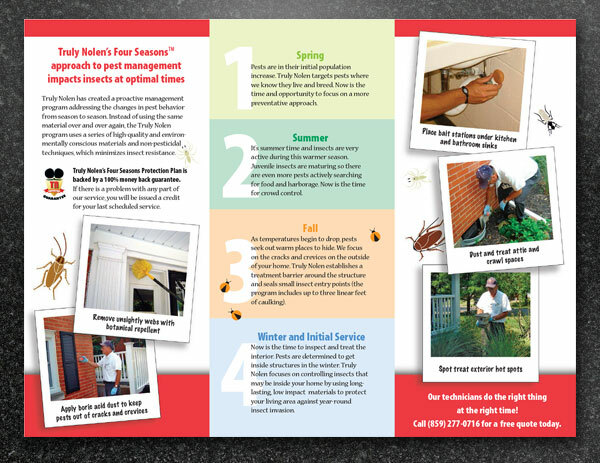 Very nice work on the 4 seasons brochure, looks very professional!